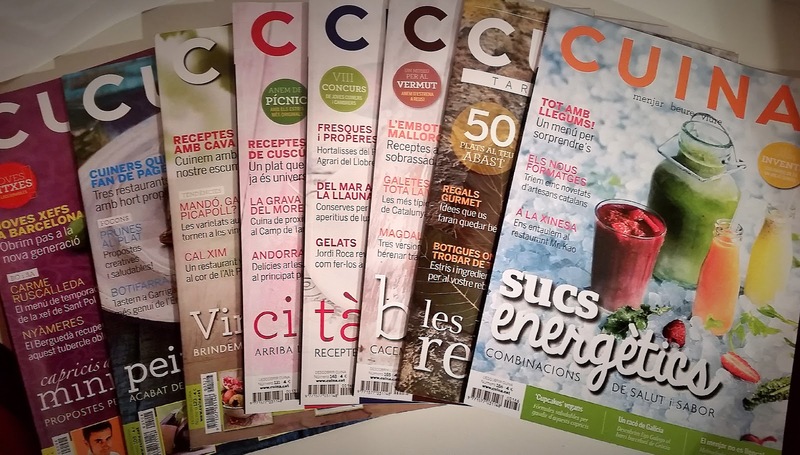 Tomorrow, Friday 22 April 2016, a new issue of Cuina magazine hits newsstands with a completely new look, as well as a new approach to content to suit the gastronomic reality of the moment. 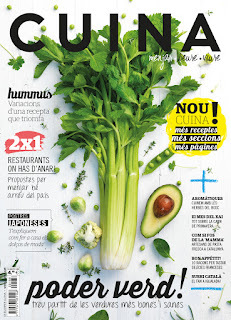 This is certainly a cause for joy for its broad base of readers and subscribers, among whom I count myself since 2009, and for the entire team of professionals who make possible, every month, the existence of this great example of gastronomic dissemination in Catalonia. 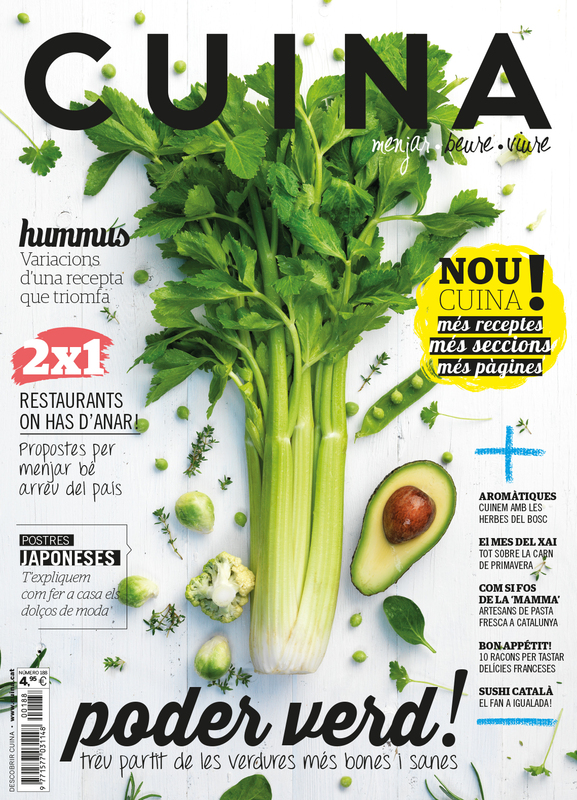 This is the reason why, with a strong sense of pride and responsibility I assume the role of fixed collaborator in Cuina, from May’s issue, contributing to the team with beer-related content. It is a personal and professional challenge that I face with much enthusiasm and energy, as well as a clear purpose: to generate beery content with rigour and passion, in a renowned and widely spread medium. I have never regarded myself as a beer expert: I am not very keen on labels, and I am fully aware of the many things that I still have to learn. Hence, the contents I have been publishing since I started writing this blog have not been precisely pedagogical. I have never found any reasonable sense in writing instructional articles about beer in my blog. Conversely, my posts have had an approach closer to storytelling, opinion and reflection. However, in this new stage I will write about beer from a new perspective for me: accessible, educational; less specialized, more curated. In other words: I want my family, friends and neighbours to be able to read about beer, avoiding unnecessary technicalities; creating easily-digestible content. And besides, trying to excite this new audience, who may know little or nothing about beer; who do not get goosebumps every time they think of Cantillon. In parallel, I am working to launch a new blog in order for me to give continuity to the content I write for the magazine. This will enable me to address other issues and expand contents, thanks to this wonderful media called the Net. It also makes me happy to emphasise the fact that in this new blog, and naturally in my collaborations with the magazine, I will express myself in my mother tongue. So far, I have been writing about beer mostly in two languages that I feel like my own, Castillian and English, that allow me to reach a large number of potential beer aficionados with which to share views and pints. Nevertheless, I have always been aware of the lack of content on beer in Catalan on the Internet, and I humbly hope this small contribution to be significant. The will remains strong: the one that drove me some time ago to open a blog, leading me to write and reflect on beer continuously since then while getting me knee-deep into many initiatives and projects in this exciting world. The will remains firm, indeed: the one to disseminate the beer culture. Because, believe me, beer is more than a gastronomic product.